Puerto Ricans played a significant role during the infamous prison uprising that took place at the Attica State Correctional Facility in 1971. They were on both sides of the conflict. Puerto Ricans made up nine percent of the inmate population at Attica. In addition, several members of the observer committee sent to the prison during the four-day standoff were Puerto Rican. This presence is embedded throughout historian Heather Ann Thompson’s 2016 Pulitzer Prize-winning account of the Attica Prison Uprising, Blood in the Water: The Attica Prison Uprising of 1971 And Its Legacy. In the opening chapters, for example, Thomspon outlines the shared struggle of Puerto Rican and African-American inmates at the prison, who, in addition to the deplorable conditions for all inmates, faced even harsher treatment. A majority of the more difficult, lower paying and menial jobs were assigned to African-American and Puerto Rican inmates, which, in turn, made prison life more difficult (less funds, more strenuous, etc.). Puerto Ricans and African-Americans were also subject to more stringent regulations when it came to family visitations. In some cases, however, the abuses, while shared among African-Americans and Puerto Ricans, were relative to each group. Mail censorship, for example, was much stricter for African-American and Puerto Rican inmates; yet for Puerto Rican inmates, the letters they received were simply discarded because they were written in Spanish—rather than the harsh scrutiny given to the letters received by black inmates. The language barrier led to other abuses, most visibily in the form of neglect when it came to medical attention. Thompson recounts the experience of Angel Martinez, a young Puerto Rican prisoner who neither spoke, nor understood English. He was sent to Attica after becoming addicted to heroin, which he had begun using in an attempt to relieve the pain caused by his polio. Thomson notes that the two doctors on staff, Dr. Selden T. Williams and Dr. Paul G. Sternberg, were “particularly unresponsive to the medical needs of Attica’s Puerto Rican population.” Inmates like Martinez were unable to articulate themselves yet even so, most inmates rarely received adequate treatment. According to Thompson, the doctors never bothered to request interpreters. And though there was one Puerto Rican correctional officer at Attica, his colleagues insisted that he not speak Spanish with the inmates. After prisoners took over the prison, several prominent Puerto Rican activists and politicians were part of the observer committee sent to Attica. U.S. Congressman Herman Badillo and New York State Senator Robert Garcia were part of the 35-member group, along with Tom Soto, a young Puerto Rican activist from New York; and Bronx School Official Alfredo Mathew. Two members of the Young Lords, Juan ‘Fi’ Ortiz and José Paris, were also included in the group. According to a New York Times report, inmates had initially requested that only Young Lords be sent in as members of committee. The Young Lords had been active in the prison prior to the uprising. In fact, Mariano “Dalou” Gonzalez, a leader within the Young Lords Party, was part of the group of prisoners responsible for organizing their fellow inmates, assuring the safety of the 39 hostages, issuing a list of grievances and demands, and requesting an observer committee. He was also tasked with translating for the Spanish-speaking inmates. Upon his release in 1974, he would travel the country speaking and organizing on behalf of the ‘Attica Brothers,’ the group of 62 prisoners indicted by the state, which effectively blamed them for the prison uprising. Luis Nuñez, the longtime National Director of A.S.P.I.R.A of America, was named to a five-person panel which oversaw the transitional period following the uprising. The group concluded that many inmates still faced harassment. Nevertheless, for prison inmates, the uprising had been a demonstration of racial unity across political affiliations, with 28 of their demands being met by the state. The legacy of their actions, and the role of Puerto Ricans in this struggle, can be seen in the nationwide strike that took place on the 45th anniversary of the Attica Prison Uprising, which continues to resonate with the movement to end mass incarceration and guarantee prisoners’ rights. *An earlier version of this article incorrectly stated that Robert Garcia was a U.S. Congressman at the time of the prison uprising. He was, in fact, a New York State Senator. He later became a U.S. Congressman. 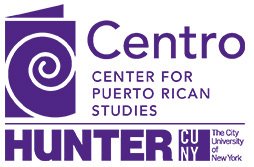 © Center for Puerto Rican Studies. Published in Centro Voices 21 June 2017.